Developer : Gemini Positioning Systems Ltd.
SafetyLink is a work-alone safety support tool that connects you with a monitoring centre - 24 hours a day, 7 days a week. Using the GPS receiver in your device, SafetyLink logs your location and links it with your device ID and company profile at the monitoring center. 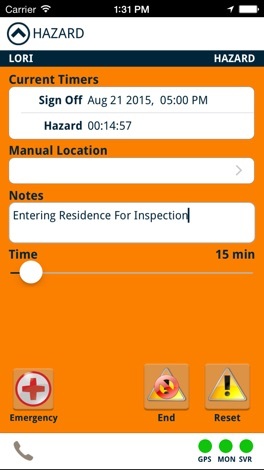 Simply tap the screen to check-in, set your end-of-shift time, set a safety timer for hazardous situations, request assistance, or trigger an alert. 2. SafetyLink requires a subscription to an authorized Gemini monitoring center. When logged-in with SafetyLink, your device appears in the list of active devices at the monitoring center. A help request sent from your device or a missed safety check-in triggers an alert. The monitoring center will call you to determine the situation and follow up according to your company's procedures. If your GPS or server connections are compromised, tap a button to call the monitoring center directly and give them your details. When SafetyLink is running, your GPS position is updated and logged at the monitoring center, so that if you do have trouble on the job, your last known location is always available. You have the added option of entering a location manually, in case your GPS signal is ever compromised, as it might be inside a building. The safety timer requires input from you at defined intervals to keep it from triggering an alert. Input can be any movement of the device beyond a set distance or a tap of the screen when stationary for a long period. The application notifies you when it's time to check-in, and triggers an alert if you are overdue. The check-in reminder (safety timer) interval is determined by your organization. If allowed, it can be turned on or off, depending on your needs. The Sign Off timer runs throughout your shift. It is completely configurable and can be changed depending on the circumstances. 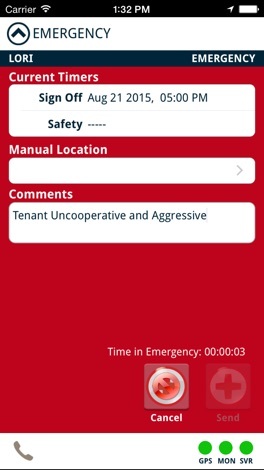 The application notifies you when your shift is about to end, and triggers an alert if you are overdue. Lets you set a countdown timer and add comments when you are about to enter a potentially unsafe situation. Simply cancel the timer when you are finished or edit it to extend the time. Expiry of your timer triggers an alert. This app gives ALL the Japanese verb conjugations,(over 200 !) and their English equivalents in a scrolling format that's easy to use for anyone,beginning or advanced. Written in easy-to-understand romaji,(English letters).There's nothing else like it on the app market, or in books.